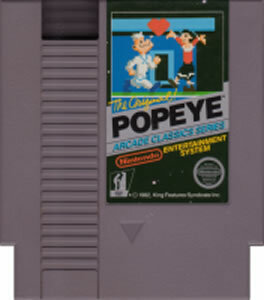 Popeye original NES Nintendo Game cartridge only - Cleaned Tested and Guaranteed to Work! Another classic game added to the collection. This is a great arcade port, almost exact. 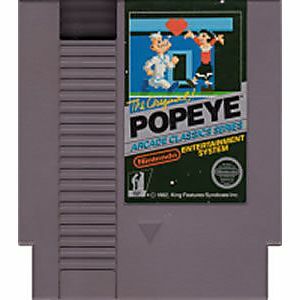 I remember playing the old arcade machine and when this came out on NES I immediately rented it. Unfortunately I couldn't own it until now, but the game still holds that level of fun I experienced years ago. Playability, graphics, longevity; this one has it all. I definitely recommend this title to anyone who has an NES. Once again, Lukiegames has provided an excellent service. The game is just like the arcade version and takes me back to when I was a kid in the 80s. The game arrived quickly and works great. Popeye is real powerful that Bluto could be damegded if Popeye had 100 cans of spinach!